As you all know I was recently contacted by Magnitone to review their electronic pulsar cleansing brush and I have just finished my seven day challenge! I will explain how I used it, when I used it, what the results were and my opinion as a whole! 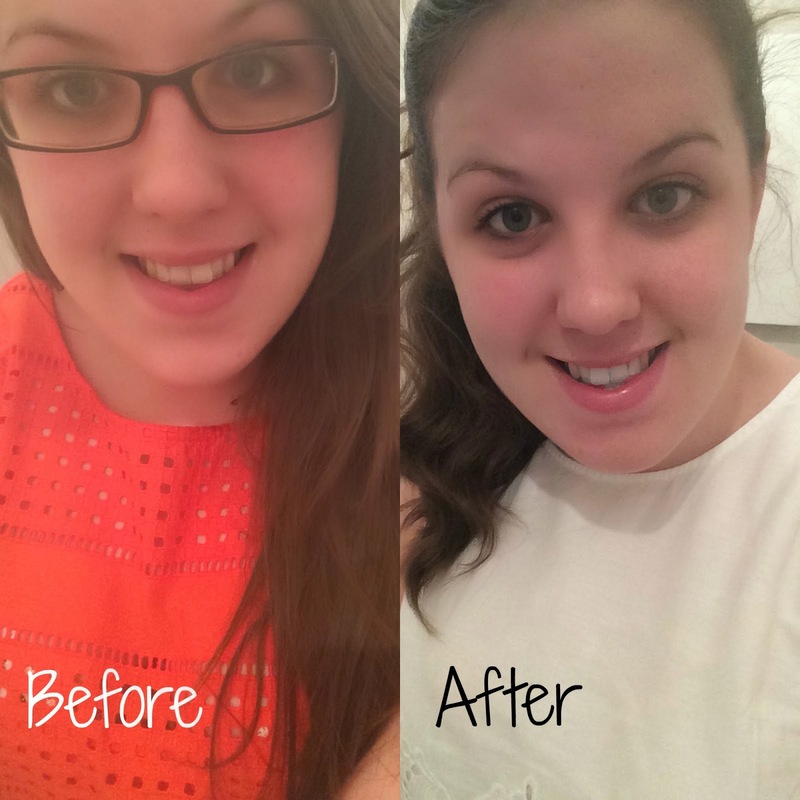 I am really excited to write this post because I have literally been amazed by the results and I couldn't be happier! I tried to incorporate using this into my current skin care routine and I love it so much. At night I take my make-up off as normal with my Body Shop Camomile Eye Make-Up Remover and Micellar Water on cotton pads. Then I move to use the Body Shop Camomile Cleansing Butter to make sure that all my make-up is completely gone and my skin is clear. Then I move on to using the Magnitone Brush, I use this with the Neutrogena Visibly Clear 2-in-1 Wash and Mask, I wet my face and then apply this all over until my face is completely cover (except my eyes obviously). I then take the brush and turn in on to the sensitive setting and start massaging the wash into my skin, I do 10 seconds on each cheek, 20 seconds on my forehead, then I do 10 seconds each on my nose and upper lip and my chin, so in total I use it for a minute. I then wash off what of the wash is left on my face with a warm face cloth to make sure its clean and I then follow up by applying L'Oreal Skin Perfection Advanced Correcting Serum which is super hydrating and leaves my skin feeling so soft I cannot stop touching it (ok, that sounds weird, not in a weird way!). It says to use it twice a day but I only used it as part of my night time skin care routine! I do have a picture of before and after but because my skin wasn't visibly bad before you cant really tell the difference in my opinion! The only major difference that I have seen is that before I used the brush my skin used to get really oily towards the end of the day but this has been so much better since using it, so much so that I don't have to reapply my powder during the day! I don't know how much this is down to using the brush but my hyper pigmentation my cheek has significantly improved in the last week or so, I have been a lot better with keeping up with my skincare but I do think that using the brush has helped that too! The main difference I can see in the pictures is that in the before one I have a few blemishes on my chin and they are significantly reduced in the after picture! This product really does do exactly what it says it does on the box, it gives you clearer, smoother and softer skin, is more effective than just hand washing and it aids your skins to be better as if your skin is cleaner and clearer then your moisturiser is going to be effective. I simply cannot put into words how much I love this product and the results that I have had are amazing and my skin is naturally quite clear so I can't imagine what this would do for someone who struggles with their skin. I would 100% recommend buying this as it is totally worth the money and you see the results almost straight away which is always a bonus! I hope you have liked this review and I urge you all to go and buy a electric cleansing brush if you are having problems with your skin as they make a huge difference. I will leave a link to their twitter, website and where I bought mine from for you all if you want to go and buy one! I will be back on Wednesday with a slightly different post for you all but if you know me you will know why I wanted to do it! I hope you are all having or had a good bank holiday weekend! I've been really wanting to try this out. Awesome review! I've read some reviews that overuse dry out the skin and leads to break out! I'm glad it worked out for you!